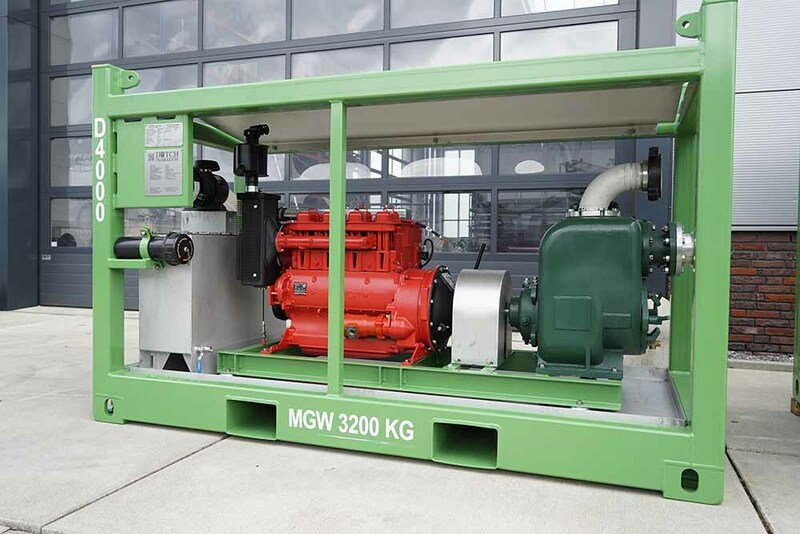 Our diesel driven pump set is designed to work in the harsh conditions. The air cooled 4-cylinder diesel engine is the most reliable and robust engine in the market. The engine can be equipped with spring or air starter. 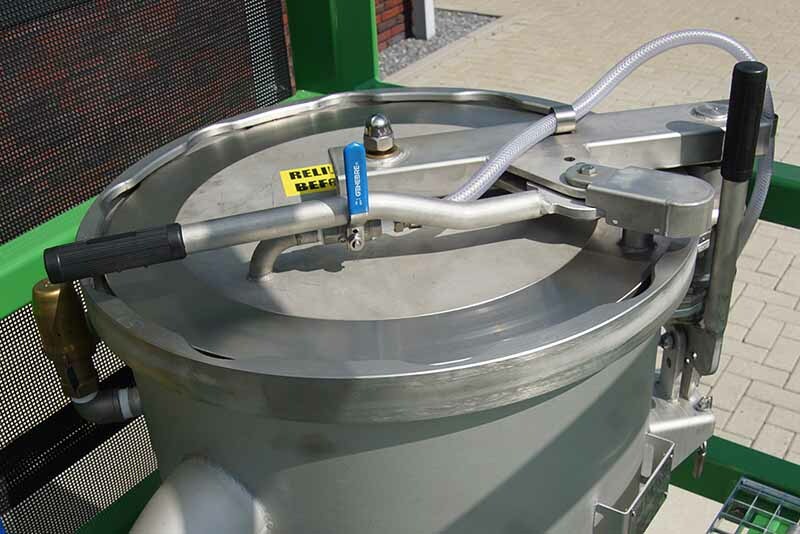 The Gorman Rupp Super-U self-priming pump is designed for pumping dirty fluids and aggrieve fluids at high rates. 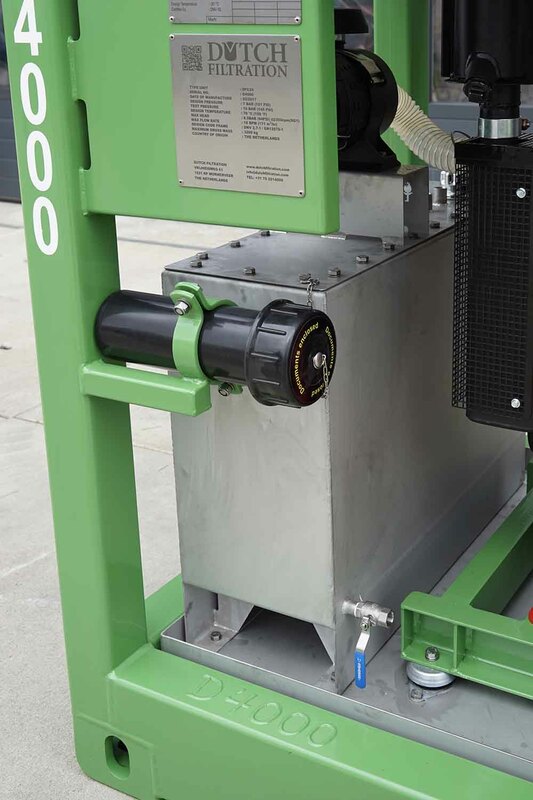 All equipment is built into a strong box frame for easy transportation and protection. The frame is DNV2.7-1 certified and has ISO corners for quick and safe fixation to a trailer or deck. The stainless steel drip pan will catch possible leakages which might occur. 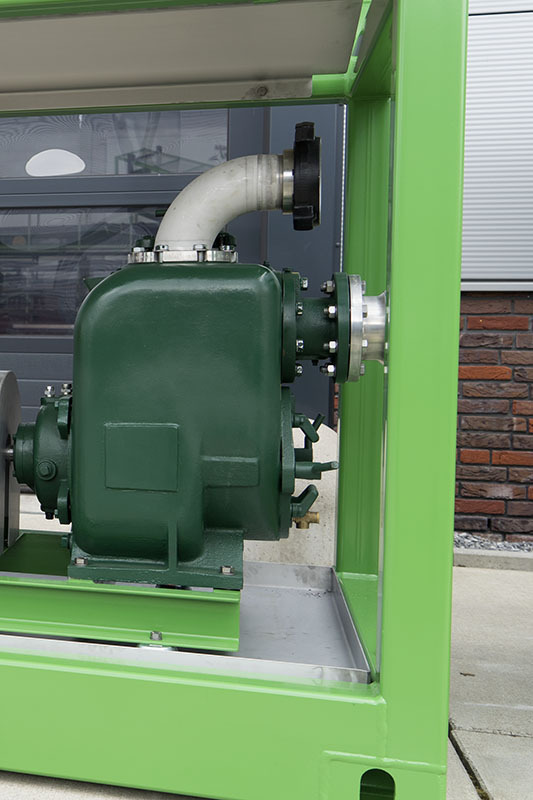 Our diesel driven centrifugal pump will feed your filter press and dual cartridge filter unit at high throughputs.